"I can do that!" Years of working as a diplomat between vampires and humans in the Company had given her plenty of experience with people, including figuring out where they were headed and what it was they were planning. She whipped out her notebook and pen and started looking over what they knew of his patterns. "So now where are we going?" Atoli asked, changing the subject to something more important at the moment. "Then I'll leave it up to you," She responded, "hopefully we can pinpoint where he's going, and go off tomorrow morning to meet him there and hopefully capture him. His parents are very worried, as well as Atoli's. Not to mention, he could possibly hurt someone if he's not too careful." "West City. It's one of the biggest cities, so you can easily get lost in it. Then from there we can take an underground subway to North City. It should take us pretty far away from here in a short amount of time, so we won't have to worry about the police anymore." "I'll tell you as soon as I've got it figured out," Mimiko replied, looking over the notes she'd taken so far. A few minutes of staring, working over the data, and eventually, "I've got it! West City. They were headed for the bus stop that has a direct route to West City." She looked at L and Riza proudly. "That sounds like a good plan," Atoli said in agreement. "If we get on the subway on a direct line without them, it doesn't make many stops. If we get on without them, they'll never catch up." L smiled ever-so-slightly, "Good job, now we need to find out why." Mimiko thought for a moment. "Well, it's a big place. He's probably trying to blend in with the crowd to lose us." All it took was a little thinking like a teenager, and like a crime show. "Let's pick out ten of the most logical places he could go once within the city. We could get ahead of the two and then have people positioned in each place. That way, when he arrives at the place, we can catch him rather quickly and get him back home. We'll also have to take in the girl for questioning, to see if she really was kidnapped or not." L nodded, biting on his thumb in thought, "Where do teenagers like to stay?" He honestly didn't know, criminals he knew, teenagers....that was another story. He never had a childhood himself on top of that. Mimiko thought for a moment. "Depending how much money they have, they could stay with friends or family. Far as I know, they have neither in the city. The second option is a youth hostel. They can't check into a hotel. You have to be at least eighteen to do that." She paused. "Is either of them eighteen?" "He turned eighteen a month ago. He probably ran away due to the fact that you are eligable to be signed up for the military at that age." L sighed, looking up at the ceiling, "I wonder why.....he obviously has physical skills." "No offense, Leutenant Hawkeye, but the army's a death trap, and that's what his parents wanted to sign him up for," Mimiko said, checking her notes breifly. "He probably didn't want to be in the military because he's a martial artist. Not interested in guns. So if he's eighteen, he can check into a hotel." 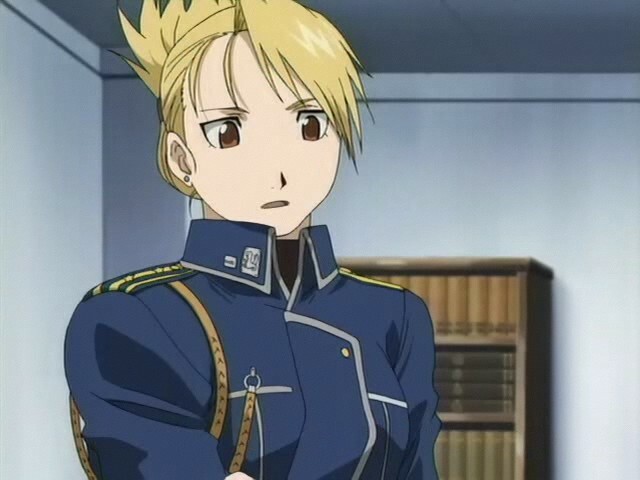 "Well, most of us joined the military for personal reasons, not because we like guns," Riza explained, but understood what she met by that, "we'll go to the cheapest hotel in town. I'm positive that he doesn't have a lot of money on him, nor would want to carry that much money on him." L nodded, "Of course, having a lot would be suspicious." "Alright, so we'll wait until he settles down to rest in West City. Then from there, we'll capture him and return him home after a few questions. I'm curious to what his intentions are with the girl. According to their parents, they weren't friends or close companions. That makes me curious." "We're almost there. Just a little longer and we'll make it into the city. I'll check into a hotel located deep within the city, that way even if they catch up to us here, they'll be searching for a while." L smiled, "Some star-crossed lovers perhaps? "That'd be romantic, but I doubt it. And don't say star-crossed. Usually that ends tragically." Mimiko wasn't a scholar, but she'd been forced to read Romeo and Juliet in high school, and everyone knew how that turned out. Atoli shook her head. "We should go to one they wouldn't expect. Like an expensive hotel; I've got the money. If we go someplace that isn't expensive, they'll look there first. Fancier hotels have more privacy policies. At the very least, they'll get lost in red tape." "There is a possibility," Hawkeye suddenly responded, "for example, what if it was a secret they kept from their parents and their friends, because they didn't want anyone to know about it. So that they could run away in the future with no relationship traces. It's highly probable." "Alright, then the question is," He said getting off and looking around, "which one do we choose to stay at?" "There's a four-star hotel down the street from here. We'll stay there for tonight and then head out as early as we can," Atoli decided. "They'll accept guests any time at night." She took Kilik's hand and led him down the street. Due to predicted inactivity, I'm locking this one.